This 8-hour tour is a great experience for all level of fishermen, and those who prefer a small-group. Your day starts with a beautiful drive through scenic canyons and will give you the opportunity to connect with your local guide and assess your plan for the day. Beginners will benefit from the knowledgeable guides which can provide basic techniques and awareness of local entomology. 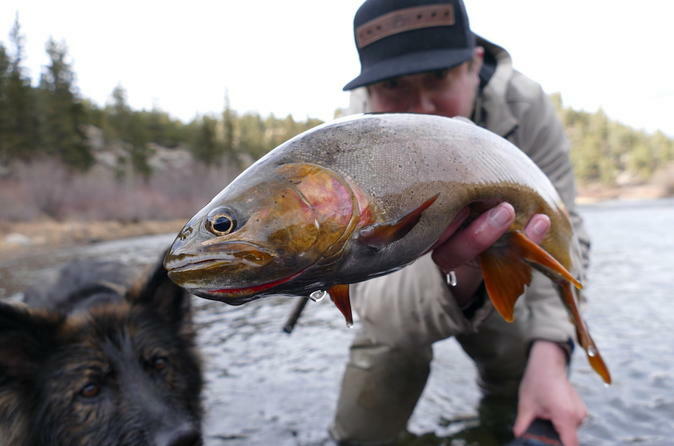 This trip provides a safe, fun, and authentic Colorado Rocky Mountain fishing experience. Knowledgeable, World Class Fishing locals will provide you with an opportunity to learn about the sport as well as conservation of one the oldest American past times. Upscale transportation during tour, and pick-up/drop-off for all downtown hotels provided.